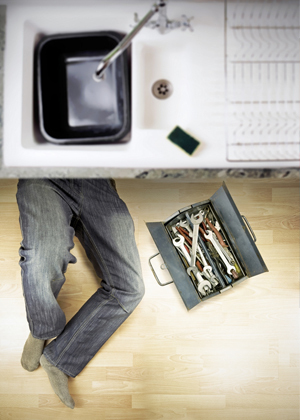 Plumbing Services Fort Collins: What's That Thing In My Drain? What’s That Thing in My Drain? As the Fort Collins plumbing services professionals, Ace Hi Plumbing understands a simple fact: if you have a clogged drain, you’ll know it. 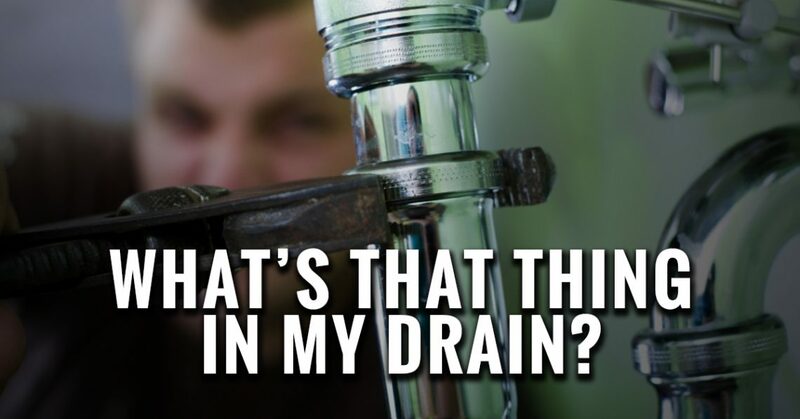 It doesn’t take long to realize that a drain in your home is messed up, clogged up, or backed up, and it leaves you with one simple question: What on earth is in my drain? To find out the answer, you’ll need to contact a drain cleaning professional. But by learning about the usual suspects of drain clogging, you might be able to figure it all out for yourself. Sorted by location, here are the most common objects that can clog drains throughout your home. Grease is perhaps the most common culprit for clogged drains in the kitchen. All of that bacon grease or leftover chicken juice from your frying pan is nearly liquid at first, but once you pour it down the drain, it solidifies and coats the inner lining of your drain pipe. After months and months of grease-pouring, you’ll create a full-scale drain blockage that’s difficult to remove, even with top-shelf drain cleaners. To solve this problem, call a drain cleaning professional to clear out your pipes, and pour your grease in the trash (after it cools down, of course). Coffee grounds are the doubled-edged sword of drain cloggers. While a few coffee grounds in your garbage disposal will dramatically improve its smell (or hide its current smells), too many coffee grains down the drain will cause major clogs because the ability of coffee grains to coagulate when exposed to moisture. A little sprinkle of French Roast in your garbage disposal every now and then won’t hurt, but too many coffee grains can lead to a problem brewing in your kitchen. Garbage disposals are equipped to eviscerate a large majority of soft food particles like lettuce leaves, fruit scraps, and leftover spaghetti bits. But food scraps that are dry, hard, or particularly tough can make your garbage disposal work too hard, causing overheating, jamming, or clogging beyond the garbage disposal itself. Be careful throwing large amounts of rice and grains (which expand with moisture), starchy and dense vegetables, or potato peels down the garbage disposal—a buildup of these food scraps over time can cause damage to your garbage disposal, or create a clog that only a true plumbing professional can handle. We’ve said it before, and we’ll say it again: when in doubt, throw it out. 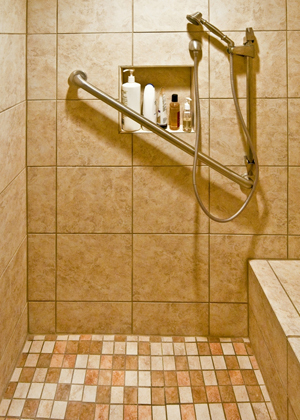 Your bathroom drains are some of the most important elements in your home. Without them working at their best, you could be spending your time showering at the YMCA, brushing your teeth at the kitchen sink, or even worse: setting up an old-fashioned outhouse in your backyard. As a preventative measure, here are the most common cloggers of bathroom drains. So much hair. The average person loses anywhere from 50 to 100 strands of hair per day, many of which are set free to roam about your shower drain when you take your morning shower. If you have long and luscious hair, this natural hair loss can easily clog your shower drain within a few months. While this is a minor clog overall, you’ll most likely need a professional to remove the clog if you can’t see the hairball lurking in your drain pipe. To solve this problem for good, pick up a shower drain hair catcher from your local hardware store. Most of these devices are $5-10, and will ensure that your drain is hair-free for years to come. Bath salts and soaps are great during bath time, but all the residue from these bath products can cause major problems for your shower drain. When minerals from hard water interact with the lards and fatty acids in soap, it creates soap scum that can create tricky clogs in your drain. Ah, your toilet. The John, the loo, the porcelain throne—it’s a place of comfort, safety, and solitude in your home. But a single clog can unseat you from the best seat in the house. Here are some of the treacherous toilet cloggers in the business. Whether they’re used on babies or pampered adult humans, baby wipes are a surefire way to clog your toilet and should be flushed sparingly or thrown in the garbage altogether. We know—the toilet is the most logical place to do away with soiled paper products, but the fibers of baby wipes and diapers aren’t as a capable of decomposing when exposed to moisture (in fact, diapers are designed to avoid falling apart when a moist disaster strikes). This leads to some of the most devastating toilet clogs that a plunger couldn’t begin to plunge. Investing in a specialized diaper garbage can for less than $50 will keep the sights and smells of your diapers contained, without causing plumbing destruction in the process. There’s nothing more criminal or unholy than cheap, scratchy toilet paper. But opting for the most high-tech, seven-ply toilet paper on the market can make older toilets and plumbing systems work too hard to flush your business down, leading to tough clogs and tough times in your home. We wouldn’t recommend buying cheap toilet paper, obviously—but if you have an older toilet in your home, a middle-of-the-road toilet tissue will help you avoid an issue. It only takes a few Legos to bring your toilet to a complete stop. You can’t blame kids for trying to flush their toys down the toilet—they’re naive, imaginative, and inherently curious about where the toilet takes things. If your child is young enough to flush toys down the toilet, they probably need supervision while they’re in the restroom. Your plumbing will thank for your parental responsibility. No matter the size or the cause of your clog, choose the professionals at Ace Hi to keep your pipes clear and functional! Our Fort Collins plumbing service professionals have seen every clog in the book, and offer sewer and drain cleaning for residential and commercial properties 24/7. Contact us today to fix your clogged drain today!